very comfortable bed and lovely owner who was very helpful. Short walk to the beach and all amenities. Very clean and quiet. The bus stop to Fira is less than two minutes walk. There is an iron and small ironing board. Also a hairdryer, a kettle and two ring stove, pans and dinner service. The pleasant garden surroundings. Daniella is a very helpful host. Very clean, nice room, very warm and friendly atmosphere. The apartment is nice and spacious for a couple. It has a balcony. There is a supermarket near (approx 500m) and the beach is approx. 300 metres from the property.. It is close to the airport which was helpful for us as we stayed just for one night to catch a morning flight. The owner or manager, Daniela, is nice and helpful and fluent in English. The room was alright. The location is fine. The staff was polite. The price was excellent. Staff very helpful. Place was very comfortable and a beautiful garden. Well stocked for self catering. Daniela was lovely. She really made the stay for us. She was knowledge and prompt to respond to our messages. 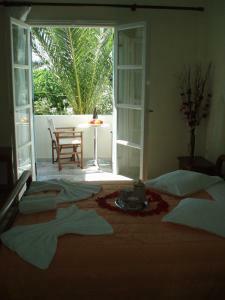 The room was above our expectations and had everything we needed and more. Kamari was far enough away from the crazy tourists in fifa and oia but easily accessible to get there. The beaches were lovely as well. 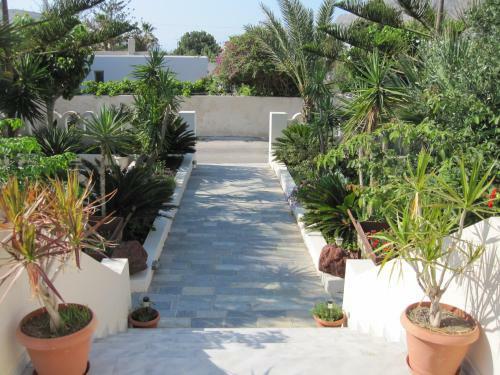 Lock in a great price for Villa Nikos Kamari – rated 8.6 by recent guests! Featuring a blossomed garden with stone-paved alleys and a sun terrace, Villa Nikos Kamari is located within 400 feet from Kamari Beach in Santorini. 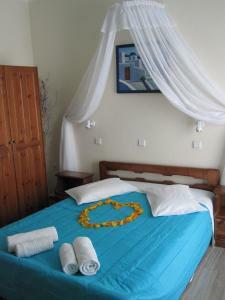 Its self-catering accommodations comes with free Wi-Fi and a furnished balcony overlooking the garden. 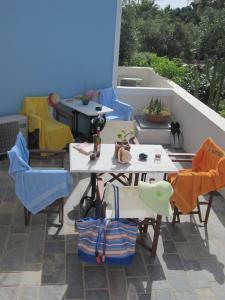 The simply decorated studios of Villa Nikos have a kitchenette with dining area, fridge and cooking hobs. Each unit is equipped with air conditioning, a safety deposit box and iron. The private bathroom comes with a shower. 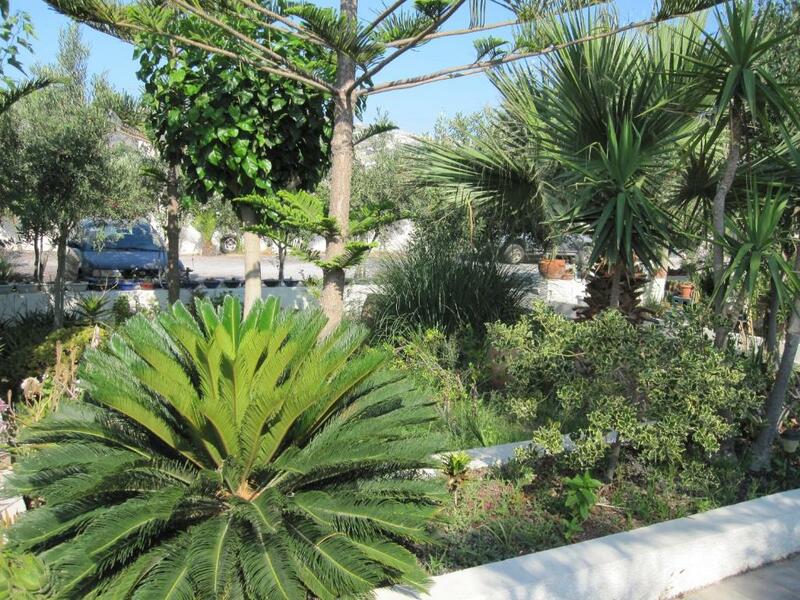 Guests will find restaurants, bars and mini markets within a short walk from Villa Nikos Kamari. Ormos Athinios Port is at 6.2 mi, while Santorini National Airport is 3.1 mi away. The scenic Fira is at 5 mi. Free private parking is possible on site. When would you like to stay at Villa Nikos Kamari? Overlooking the blossomed garden from its furnished balcony, this air-conditioned studio has a kitchenette with fridge and cooking hobs. Free Wi-Fi, iron and a safe are available. 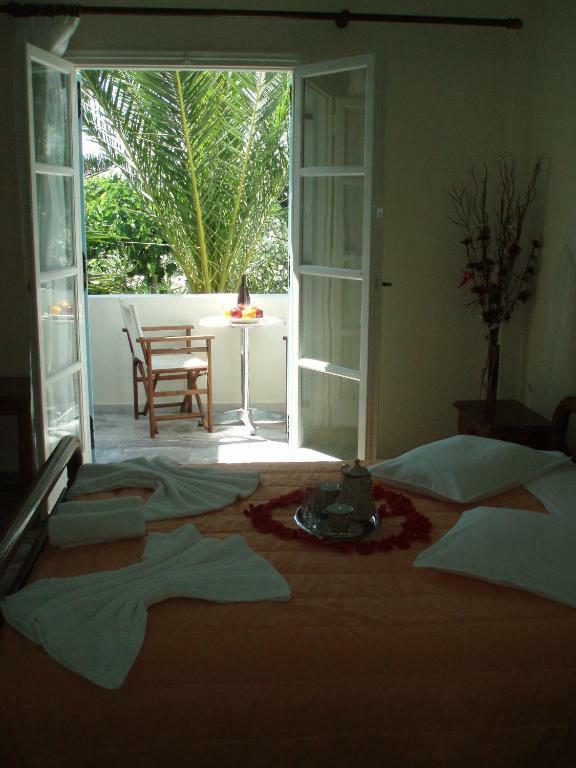 This single room has air conditioning, tile/marble floor and balcony. House Rules Villa Nikos Kamari takes special requests – add in the next step! Villa Nikos Kamari accepts these cards and reserves the right to temporarily hold an amount prior to arrival. 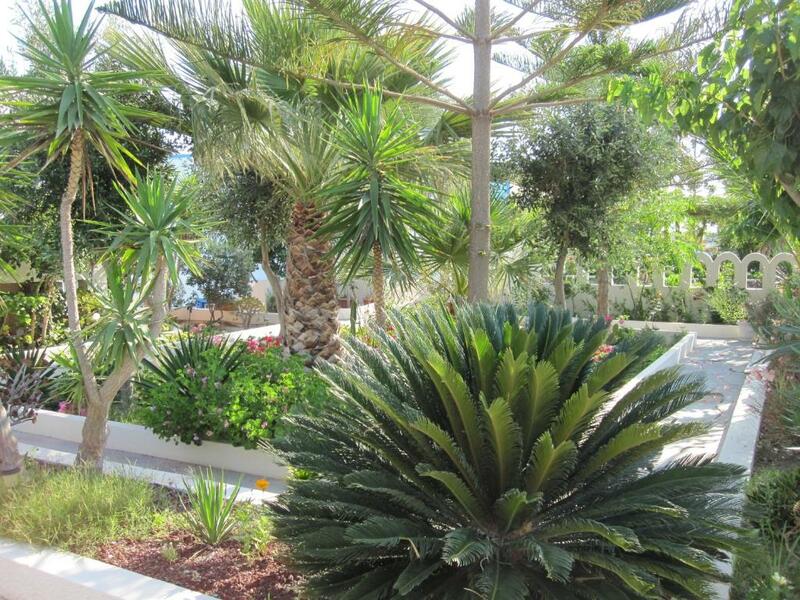 Please inform Villa Nikos Kamari about your expected arrival time and about any extra guests in advance. Contact details can be found on the booking confirmation. No toaster however, turns out I didn't miss it anyway. No television, certainly didn't miss that. I never had a host like this, I asked for a scooter and a taxi both were here on time, 8 min away from the city, good advice for the restaurant. Any person wanting to visit Santorin and can get a bike/car... Has to go to this place ! Could have used some of the cooking essentials in the cupboard; oil, salt, pepper, etc. But hard to quibble for such a good price. When you took a shower there were water in all the bathroom. Would be nice to have a swimming pool there. quite a long walk on road in blazing sun to get to beach and restaurants , villa can be noisy if guests arrive late , noisy main road on one side but all manageable ! 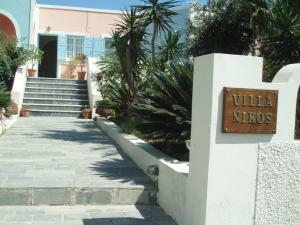 Villa Nikos is close to the airport but very difficult to get to by foot. I had to take two buses to get there. There was no morning breakfast option. The room was very basic and not good value for money. A t.v. in the room would of been good. I had picked this Villa Nikos Kamari for it's location, thinking it was close to the Airport. Yes it was near the airport but quite hard to get to. The host was very pleasant and nice to talk. They organized a transfer to the airport which was nice. They also give a gift when you leave which was nice. Location. Hospitality. Owner Daniela was very helpful in arranging transport and tours.